Lost: Episode 2 of our incredible Lost fan film! Lost: A feel-good Hurley and Charlie vid about the ups and downs of life, about friendship, hope and the girls they love. Lost: A video to commemorate 2000 videos for LVI. Congrats everyone! I hope this is fitting. Lost: A chance for redemption and healing. Being on the island is much better than the lives they left behind. Lost: His name is Sayid Jarrah... And he is a torturer! Lost: AU. 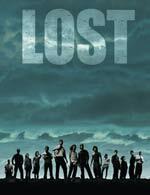 Sawyer, previously dating Shannon, becomes jealous of her new relationship with Sayid. It begins with watching her from afar and writing her threatening letters, but Sawyer�s rage and frustration takes an ugly and sordid turn for the worst. Lost: Episode 1 of our Lost fan film! Lost: June 2006 contest 3rd place winner!